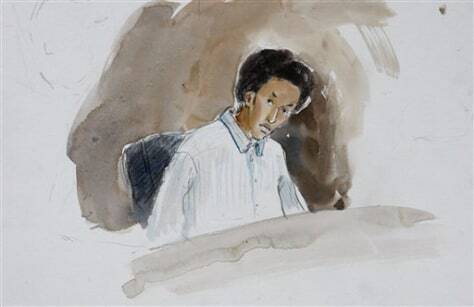 This courtroom sketch shows terror suspect Mohamed Osman Mohamud during an appearance in federal court Nov. 29 in Portland, Ore. Authorities say Mohamud and an FBI operative parked a van full of dummy explosives on Southwest Yamhill Street across from Pioneer Courthouse Square just after sundown Friday while thousands gathered in the square for the annual tree lighting. Mohamud is accused of attempting to detonate the explosives.